USB Micro SD card reader ET-OT24, Micro USB, Type-C, OTG Micro SD memory card reader, OTG compatibility, USB / Micro USB / Type-C interface, 480 Mbps, silver. Flash Memory SanDisk, 128GB, Cruzer Blade, USB 2.0 Flash memory SanDisk 128 GB. With huge capacity and fast data transfer. The opening at the back makes it convenient to be attached to a keychain. 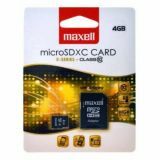 CARD MEMORY MAXELL MICRO SDHC, 16GB, CLASS 10 SD micro adapter card and 16 GB capacity, suitable for desktop, laptop, smartphone, tablet, camera, camera, TV and more. Suitable for Full HD. 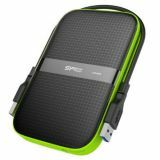 External hard drive SP Armor A60, 1ТВ, 2.5", USB 3.0 Portable external memory with 1TB capacity for file storage. The presence of the USB 3.0 port provides extraordinary read and write speeds. The Armor A60 has a rubber case that protects it from shocks and scratches, while protecting it from dust and drops of water. 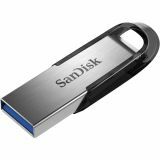 Flash memory SanDisk, 32GB, Ultra Fit, USB 3.1 Flash memory SanDisk 32 GB with ultra compact and compact size. Fast data transfer up to 130 MB / s, more than 15 times faster, so one full-length movie can be saved on this flash drive for less than 30s. 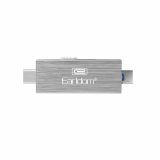 Flash memory SanDisk, 16GB, Ultra Flair, USB 3.0 Flash memory SanDisk 16 GB. Fast data transfer up to 130 MB/s. Durable striking elegant metal housing. Password protection of your data. Transfers data and information over 15 times faster than USB 2.0. The opening at the back of the flash makes it convenient to attach a keychain. Flash memory SanDisk, 64GB, Ultra Flair USB, 3.0 Flash memory SanDisk 64 GB, USB 3.0, Fast data transfer up to 100 MB / s.
Flash memory SanDisk, 64GB, Ultra Android Dual, USB 3.0 This flash memory provides fast and easy data transfer between smartphones, tablets, computers, and more. The Micro USB connector at one end and the USB 3.0 connector on the other allows you to transfer data and information at more than 15 times faster than USB 2.0. The 150Mb / s speed allows you to transfer data only in seconds. Flash memory SanDisk, 16GB, Ultra Android Dual, USB 3.0 This flash memory provides fast and easy data transfer between smartphones, tablets, computers, and more. The Micro USB connector at one end and the USB 3.0 connector at the other allows you to transfer data and information more than 15 times faster than USB 2.0. The 150 Mb / s speed allows you to transfer data only in few seconds. 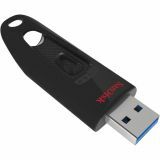 Flash memory, SP Silicon, black, 16GB Flash Drive SP Silicon, 16 GB, compact and waterproof. External case 2.5 '' Hard Drive, SATA - USB 3.0 SATA-USB 3.0 hard drive box 2.5". Flash memory Kingston DTSE9H, 64GB, USB 2.0 Compact USB flash drive with capacity 64 GB, for easy transfer and sharing of information. Flash Drive Cruzen Switch SanDisk, 32GB Flash memory Cruzen Switch SanDisk with a capacity of 32 GB, which enables fast and easy transfer of information between tablets, phones and computers. Flash memory, SP Touch T06, white, 8GB Flash Drive SP Touch T06, white 8 GB. 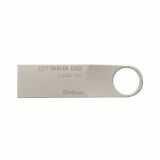 Flash memory Kingston DTSE9H, 32GB, USB 2.0 Micro SD HC card Kingston, 32 GB, ideal for PC, laptop, smartphone, tablet, camera,etc. Memory card Micro SDHC, 8GB, class 10 SD micro adapter card with 8GB capacity, suitable for desktop, laptop, smartphone, tablet, camera, TV and more. Suitable for Full HD. External case 2.5 '' Hard Drive, SATA - USB SATA-USB hard drive box 2.5"
Memory card Micro SDHC, X-Series, 4GB, class 10 Micro SDHC card Maxell, 4GB, ideal for PC, laptop, smartphone, tablet, camera,etc.